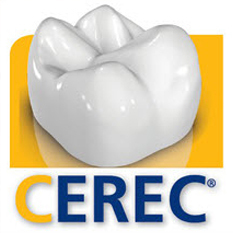 We are proud to offer our patients SAME-DAY dentistry, utilizing the unmatched Scottsdale CEREC crowns – CAD/CAM system. On the date of your appointment your tooth or teeth are prepared, then Dr. Kidess uses the CEREC intra-oral scanner/camera to take a digital/virtual impression (meaning no messy goop in your mouth at all), of that site and within minutes a customized porcelain crown, veneer, inlay or onlay is designed (CAD), and then milled (CAM). This system can be used to fabricate one restoration or for full mouth rehabilitation. The CEREC – CAD/CAM technology by Sirona Dental (a subsidiary of Siemens Medical Technology Division), has been perfected over the past 30 years, it is a revolutionary system, that provides Dr. Kidess and our patients the ability to restore their teeth with highly aesthetic, precisely fitting, customized ceramic restorations during one appointment, thus saving our patients one of their most valuable assets, time. All of this treatment is rendered in our Scottsdale AZ state-of-the-art facility, with your choice of noise cancelling headphones, satellite TV, streaming Netflix movies, Mountain views and massaging chairs, and of course with our highly trained team of empathetic professionals at your service.